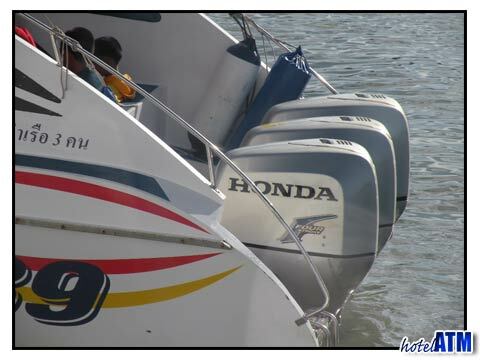 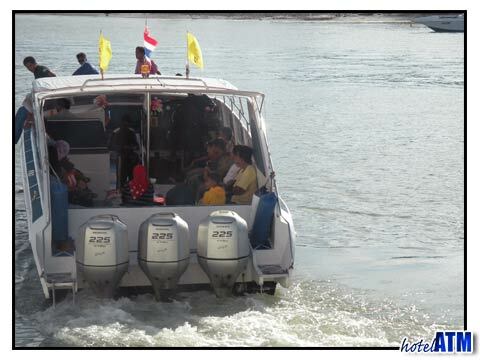 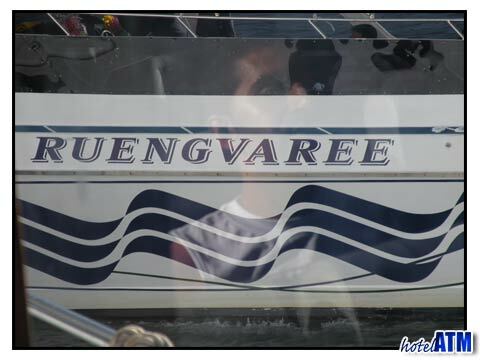 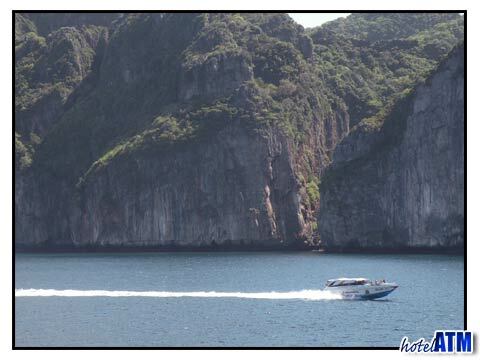 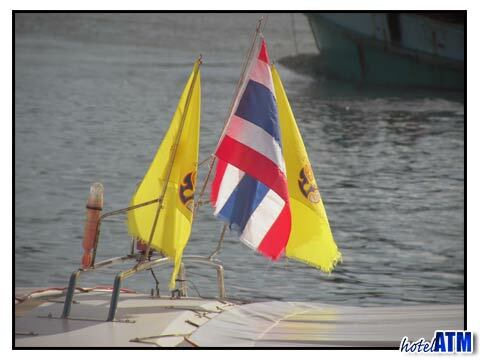 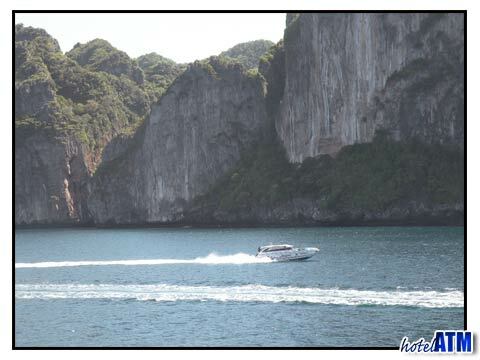 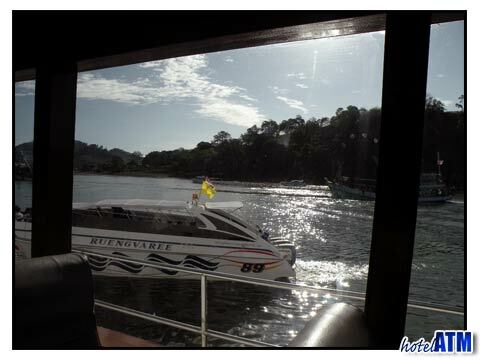 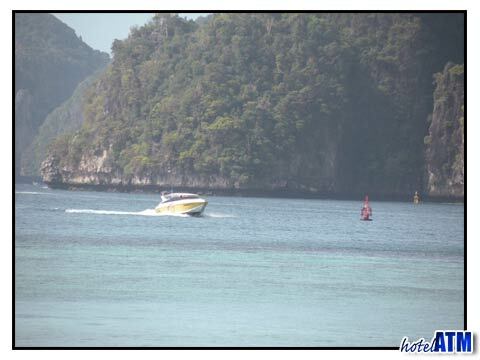 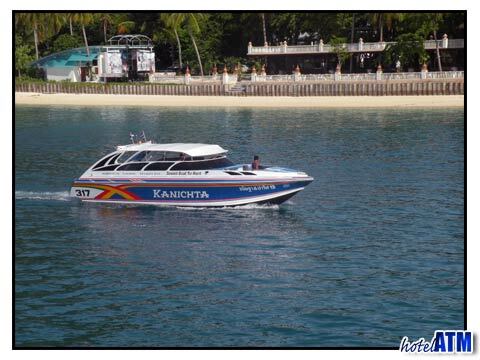 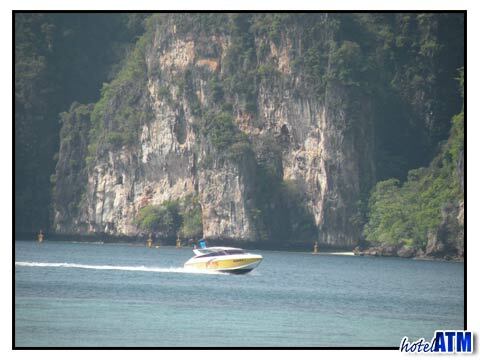 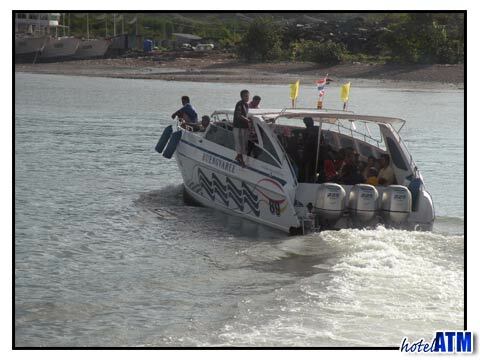 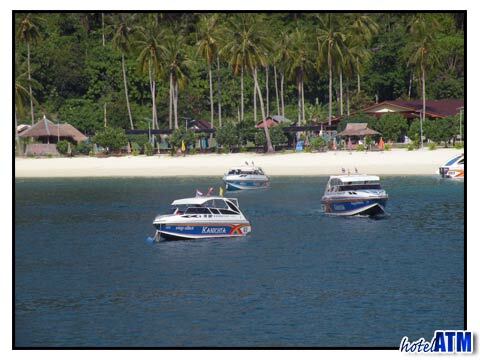 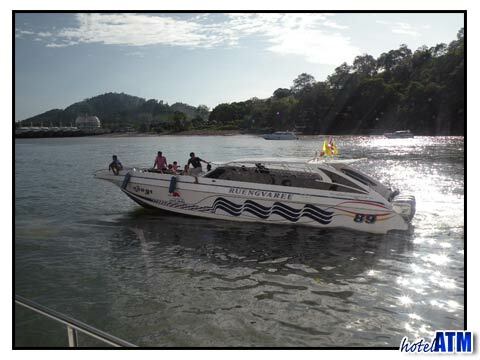 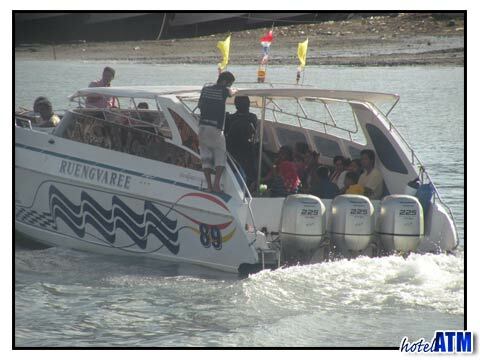 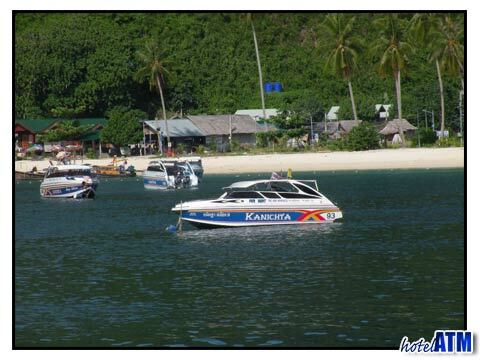 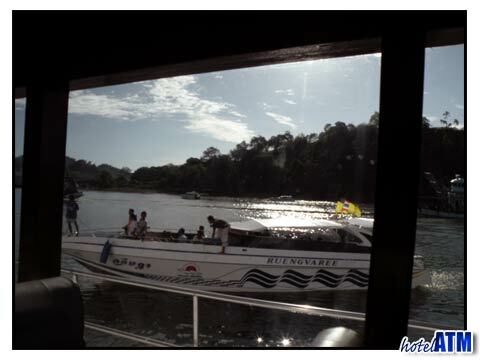 Speedboats are pure thrills and going out to Phi Phi Island with fast 2 or 3 engine machines is amazing fun. 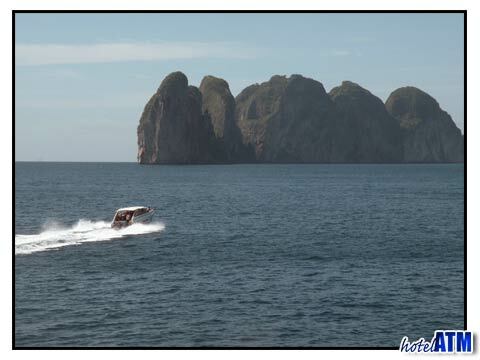 On a flat day it takes about 40-50 minutes to blast across the 45km from Phuket Rassada Pier to Tonsai beach at the main bay of Phi Phi Don in a ride that is very memorable. 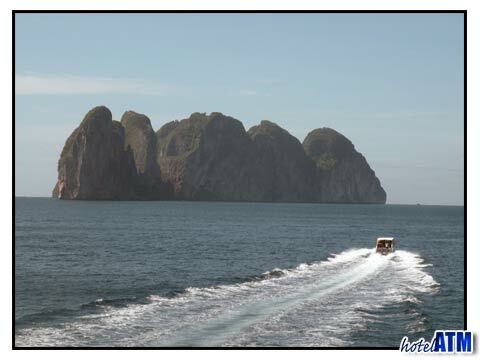 On the way over you pass the Koh Doc Mai the cliffed island just beyond Maiton Island and to the north you can see over 50 more islands in the Phang Nga Bay. 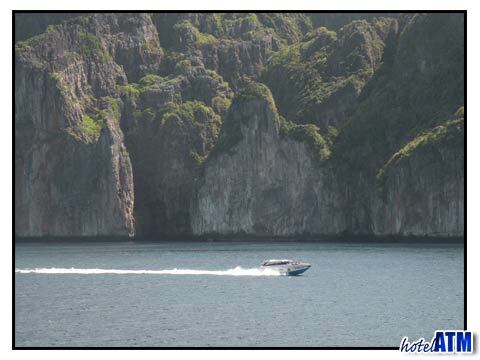 The views of the approaching Phi Phi Don and Phi Phi Ley create a sense of mystery as their seems to be no inhabitable inlet, beach or sign of man. 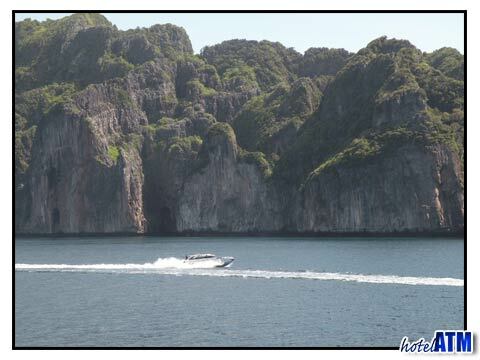 It is only when you round the corner of Phi Phi Don do you see the main village and beaches. 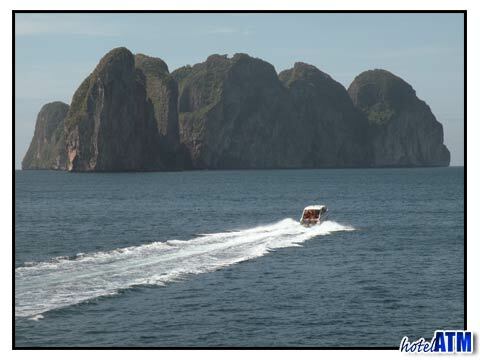 If you take the trip out to Phi Phi by fast speedboat it is bound to be a sensational story...!